Pea In A Pod Baby Shower Cakes! Perfect for hosting a twin or triplet shower! Sweet Pea in A Pod Baby Shower Cakes! Perfect for singletons, twins or triplets! 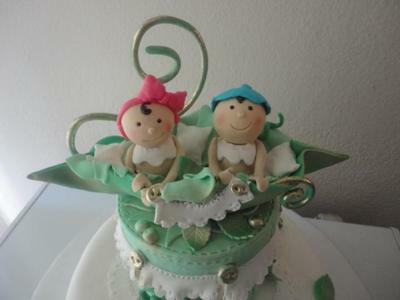 If you are planning a "Pea in A Pod Baby Shower" have we got some adorable cakes for you! All of the cakes below have been submitted by our talented readers! Get inspired by all of the cute pea pod baby shower cakes and cupcakes! 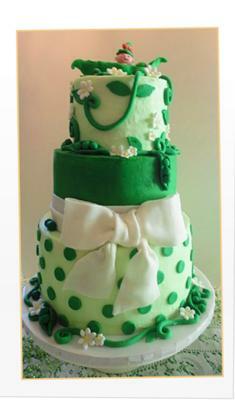 This is a 3 tiered Sweet Pea in a Pod Cake consisting of a 14, 10, & 6 inch cake. It is a white vanilla almond sour cream cake with raspberry and baverian filling that was coated in butter cream then covered in fondant. The baby on top was hand molded out of fondant and her features were hand painted on with edible paint. The green curly cues and leaves were made out of gum paste as well as the small flowers on the borders. The bow was handmade out of a 50/50 mixture of fondant and gum paste. 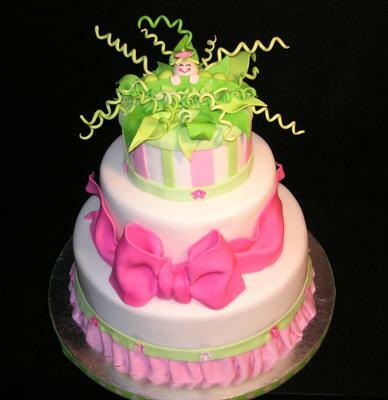 The ruffle was made out of strips of fondant folded to look like a ruffle. Grab this printable game here. The shower was for a mom of two boys expecting a little girl. We made a two-tiered cake out of white chocolate butter cream frosting with a raspberry filling. White fondant was used on the outside of the top tier and we dyed the bottom tier to get a baby-pink color. We made the pea pod also out of fondant, and added the pink pea in the middle of the three to represent the girl. We dyed more white fondant to a darker pink color (the two color pinks for the shower) and rolled them out and cut into thin strips. We brushed the backs with water and layed them evenly around the cake. We made the leaves and vine out of fondant and layed them underneath the pea pod. Then we cut out little flower shapes using a cookie cutter and "glued them" around the bottom of the cake. I then piped butter cream frosting around the base of the top tier to cover up any imperfections. This is a 2 tier Vanilla cake with an edible African American baby topper. 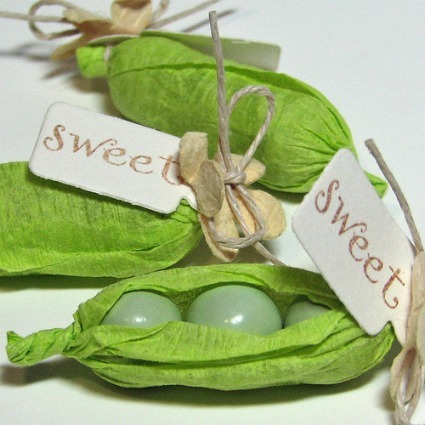 The pea pod is made of yellow cake wrapped in fondant. The baby body is cereal treats wrapped again in fondant and the head is a foam ball - yes, wrapped in fondant. 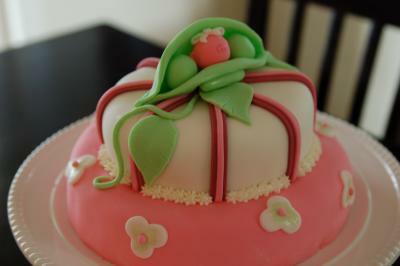 The leaves are fondant, as well as all the features. I've taken my 25+ years as an artist and am now creating cakes. 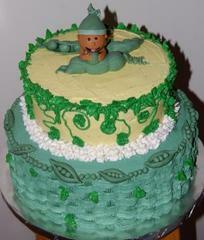 For this Sweet Pea baby shower cake, I baked two round cakes and frosted in green butter cream icing. I then made the peas and the baby out of fondant. Sweet Pea Cake for "Guess the Gender Party"
"Pink Or Blue, We Love You"
I used 4 round cakes in different sizes and lots of Marshmallow fondant. I choose to make my own marshmallow fondant because its much easier to work with and taste is so much better then the bland store bought varieties. I sculpted the baby in the pea pod topper out of fondant as well and then painted all the little details with a fine brush a Wilton food coloring gels. The cake turned out quite cute and it was also really yummy! 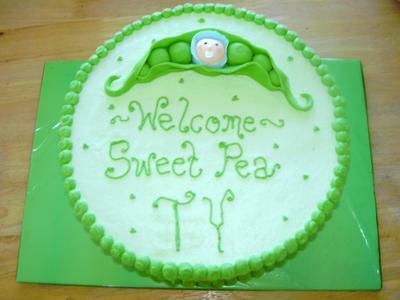 I made this Pea in a Pod Baby Shower Cake for a friend of mine. There are three tiers: a 9 inch round cake, a 7 inch round cake, and a 5 inch round. The bottom cake is a chocolate cake with ganache filling. The middle tier is a strawberry cake with a cheesecake filling. The bow is gum paste and the decor is fondant. I used a clay extruder to make the fondant vines and rolled fondant for the peas. 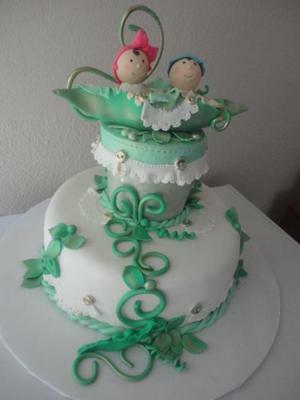 The baby and pod topper are made of fondant. This is a 2-tiered, Dulce De Leche (dulce de leche is a milk caramel cake that originates in Latin America) cake that tasted amazing and was extremely moist! The first tier was made using a round cake pan. After the cake has baked and cooled, frost it with butter cream frosting and then place a thin layer of fondant over the cake. For the 2nd tier you can actually use a large cupcake made using the new large cupcake pans that you can find in major home goods stores such as Target or WalMart. Bake the 2nd cake and then frost with butter cream and finish off with fondant. 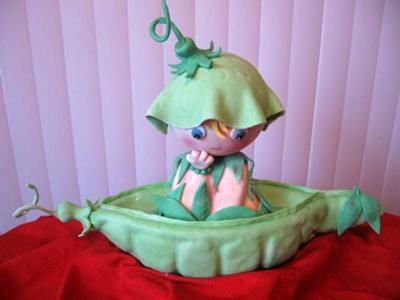 This pea in a pod cake was made for twins - one boy and one girl! It turned out to look so adorable! And believe it or not, the babies actually move around the cake! The last picture shown is a rough draft sketch of this cake when it was being planned out. I think the color scheme turned out beautiful and this baby shower cake is truly a work of art! There is such wonderful detail in every aspect of this cake. The cute little pea pod that the babies are sitting in is my favorite! And the pea vines are so creative and whimsical! I used 10, 8, 6 inch cake pans. After torting and frosting each cake, I covered them in fondant and then stacked into three tiers. 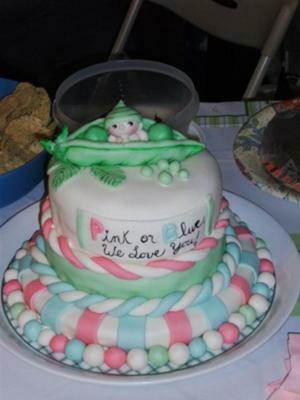 The stripes, pea, baby pea and bow are all made from fondant. The scroll work is done in butter cream. Be sure to make the pea and baby pea pod at least 24 hours in advance to allow the fondant enough time to dry. Decorate around the bottom of each cake with string pearls. 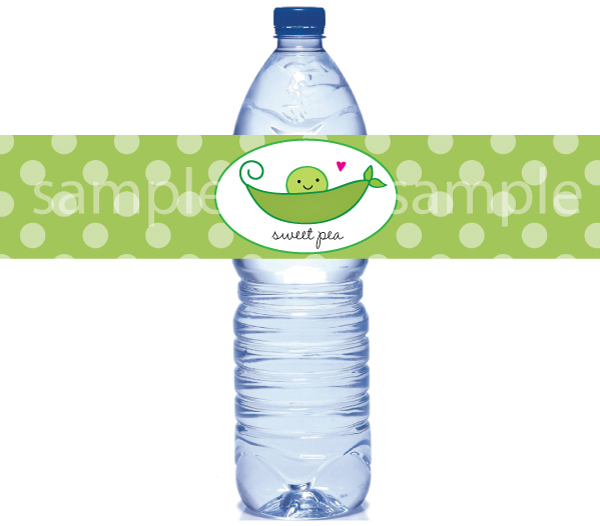 We designed some "Pea In A Pod Water Bottle Labels" that are perfect for any baby shower! Simply print, cut out and wrap around your favorite brand of bottled water! 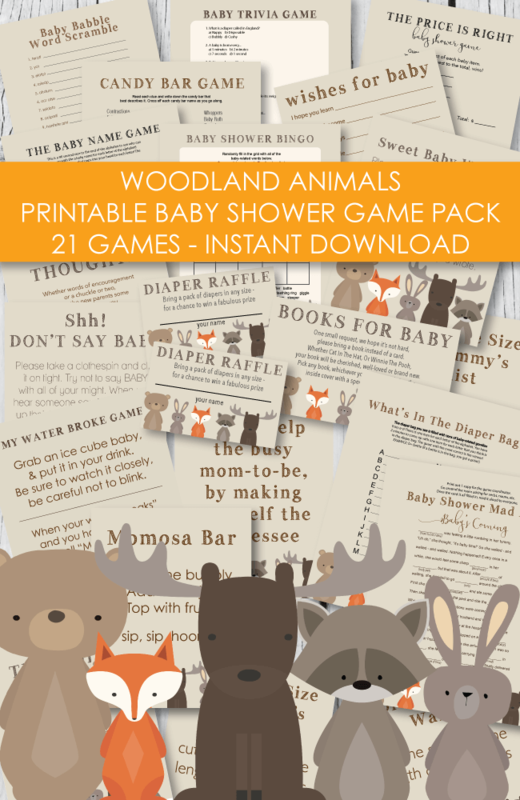 Click on the picture to hop over to our printable site, PrintItBaby.com! They can also be used as napkin rings! Some other cute ideas for decorating are to go to your local craft store and buy green patterned scrapbook paper to match the baby shower and use it for place mats, name tags, place cards, gift tags, favor tags, cut into strips and use for napkin rings, vase wraps, pillar candle wraps, etc. Scrapbook paper is low cost and cn be used to spruce up any shower or party! 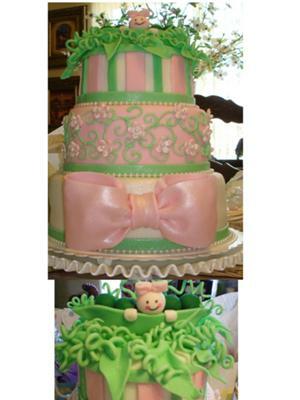 For an easy Pea in A Pod cake idea, bake one, two or three round cakes (depending on how many babies the mother-to-be is expecting) frost the cake(s) green and place side by side to resemble peas. Pipe on cute pea in a pod faces and add some curly vines to the top!